The short answer is: When Wall Street and its media maven lap dogs began controlling the public narrative. 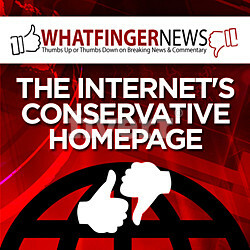 I place our newly minted Twitter King, “the Donald” at the intersection of both! For the sake of full disclosure I need to say I did not vote for the “Donald”! This was based solely on my personal experience as an investor in “DJT”. It was a sad story for those investors who bet on the “Donald” and were left holding the bag without remorse from this slick Wall Street magnate. We were all guilty of being delusional in our faith in what became clear to us as his illusional, self-promoting, relentless hype. Having said that, I also need to state that I soundly belief in his presently outlined policies of pro-growth, tax cuts, regulatory reduction and cessation of an unfundable American hegemony. Similar to “DJT”, the story is both exciting and well sold. Of course many will likely soon learn there is a big difference between what the “Donald” asserts and the reality of what he actually delivers. There is a reason he habitually punctuates almost every questionable claim with “trust me!” Like the old carnival barker and snake oil salesman of yesteryear, firm promises and sales pitch are likely to steadily and stealthily shift with the continuous stream of “fall guys”, excuses, slick “slights of hand” or “deflections”. 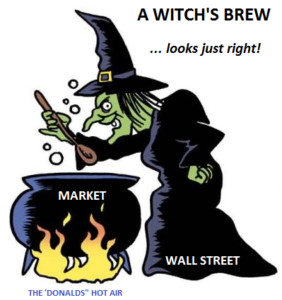 Of course the equally sly Wall Street machine will take full advantage of the game of promotional illusions that are the “Donald”. Overwhelmingly everyone is buying into the “Donald’s” policy platform. 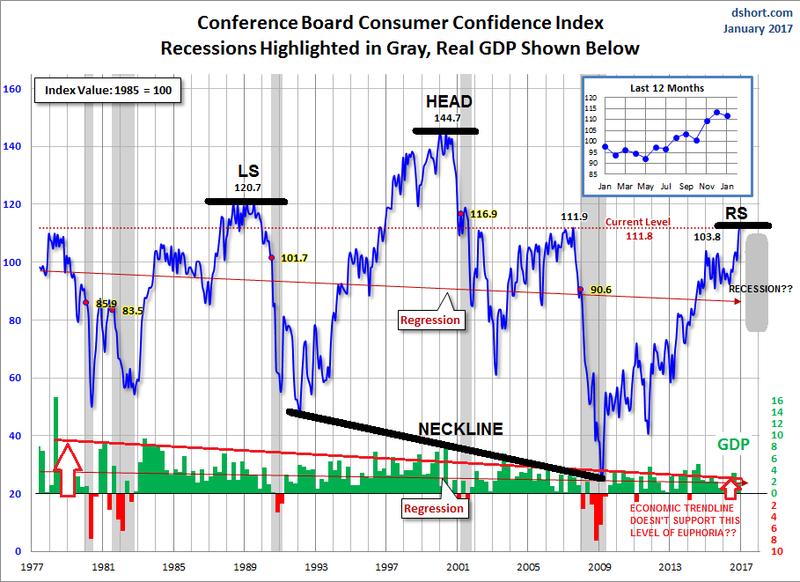 Sentiment & confidence are at a nearly 2 decade high! Of course we are still at the expectations stage. Few want to even recognize the looming signs of a potential US recession. We suspect by the end of 2017 this will be opined as a “deflection” for stalled and unimplemented policies. It won’t be that the “Donald” and his team won’t try – it more a matter of the reality that is Washington! He should have “drained the swap first” as he initially said he would. “Newbie” investors are almost giddy with expectations. 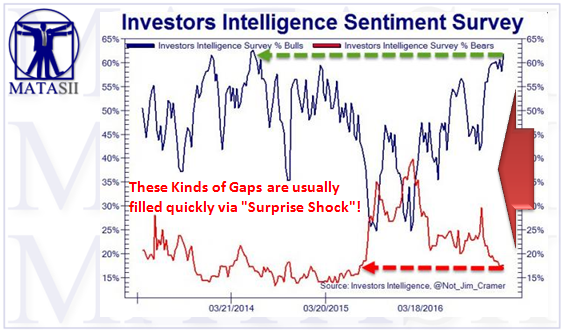 These kinds of euphoric gaps (see below) are historically filled quickly by some sort of “surprise shock” when the mistaken expectations are suddenly face-to-face with stark reality. “Captain Donald” and his carefully recruited crew are all boarding the USS Economy which is a ship that has been taking on serious water for some time. Few crew member have yet to take full measure of the hurricane on the horizon lest they rain on the election ‘euphoria’ parade. A hurricane of fiscal debt (~$20T), unfunded liabilities (~$84T) and soon to be tested contingent liabilities (~$220T fiscal gap) which appears to be a category 5++ level. 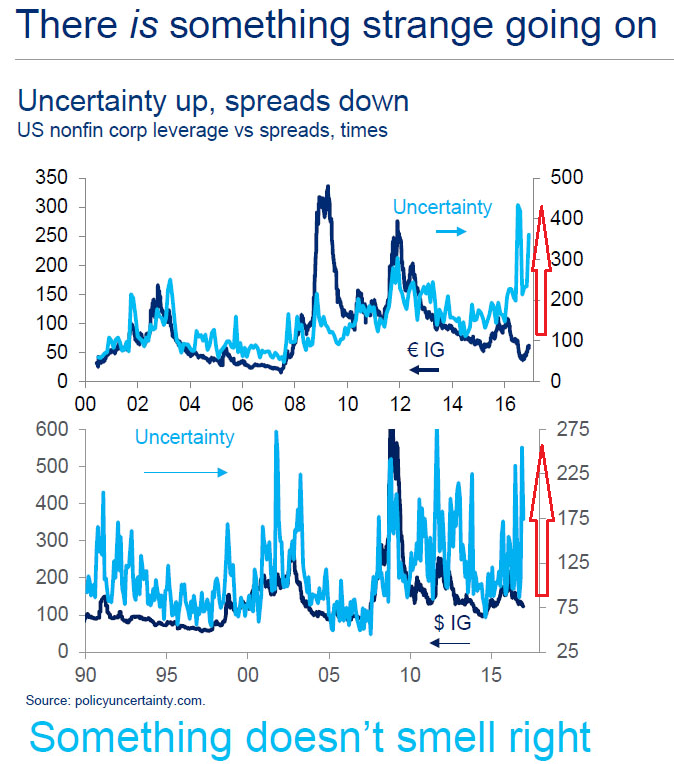 There is little doubt currently that complacency reigns in the financial markets. 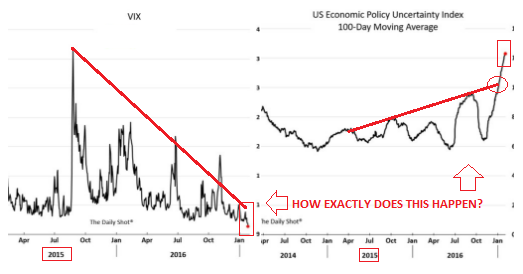 Nowhere is that complacency more evident than in the VIX, for those who still believe this Wall Street controlled instrument of “media narrative”. 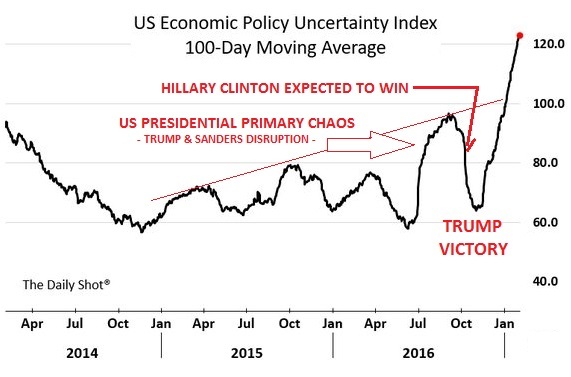 Additionally, the Market Greed/Fear Index which combines the 4-measures of investor sentiment (AAII, INVI, MarketVane, & NAAIM) with the inverse Volatility Index says complacency is “off the charts”! Some of this is difficult to comprehend if you don’t yet believe the Central Bankers and their Wall Street proxy’s (Citadel Capital?) are not plying their craft behind the scenes. Are we being set up for yet another big Wall Street payday? 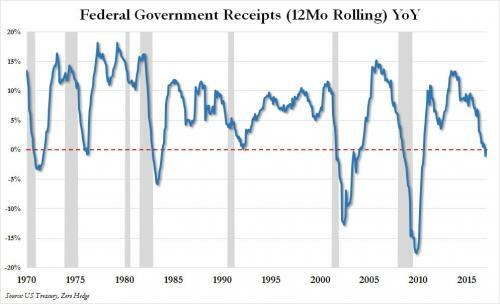 For close to 50 years, every time federal tax receipts (as measured by the 12 Mo rolling Y-o-Y) started slowing the US was already in a recession or very close to it beginning. When tax receipts went negative (we tax receipts actually began shrinking) we were well into the recession. Both have already occurred. Of course the public “narrative” no longer allows the use of the “R” word in case a reality adjustment would occur. Finally should Trump proceed to cut tax rates without offsetting sources of government revenue, a recession – at least based on this indicator – is assured. Let me make it clear that I truly wish the “Donald” all possible success, for the sake of our country! No one is hoping more for his (our) success! But, as I learned from my lessons with “DJT”, I am taking my profits while I can and will not be going long this market until reality begins taking hold. Maybe then, some of the “Donald’s” new directions (which are so desperately required and long over due) will have begun taking hold and it will then be time to invest aggressively in America again.